No. 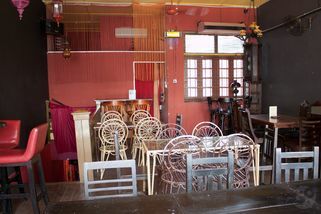 26, Changkat Bukit Bintang, 50200 Kuala Lumpur. At the middle of Changkat Bukit Bintang, on the left side of the road. Opposite Frangipani. 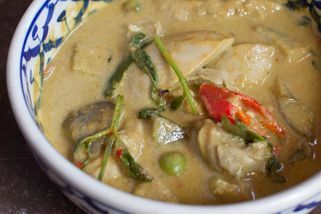 BAAN26, located along the perennially popular street of Changkat Bukit Bintang, is a funky Thai fusion café that attracts both families looking for authentic Thai food and the bar hopping working crowd. 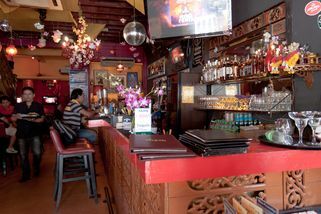 The décor is vibrant red, with knick knacks and sentimental Thai motifs alongside comfy bar stools and well-weathered wooden tables. 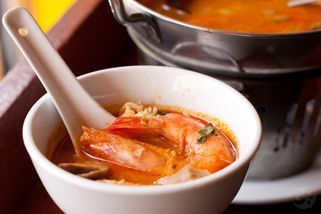 The food, prepared by Thai chefs, features both the classic favourites such as tom yum and green curry, as well as unique specialties like the Curry & Egg Slices Mud Crab. 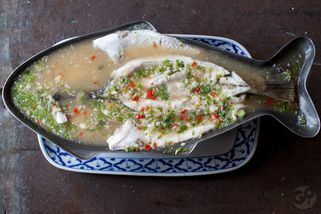 BAAN26 also provide catering services. 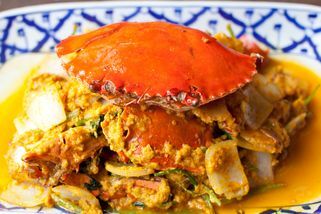 Chill out restaurant by day, lively bar by night, it still manages to feel serene, homey and completely welcoming, as befits its namesake “baan” which means “house” in Thai. 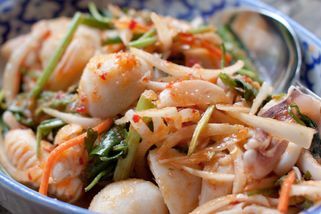 I love Thai food but I find Thai food in Malaysia usually too sweet. That is the same problem with Baan 26. All the classic dishes like tom yum, green curry and pandan chicken are here, but the sauces are definitely tuned to the Malay palate. The best thing about the place is the atmosphere and vibe. Most people only think about Changkat for late night drinks, but this place is great during the day on weekends for just chilling by the bar. Decor is Thai / hippy, kinda like being back in one of those alleys in Bangkok. Good memories.